In a world of lightbox popups and full-screen overlays, Holler Box is a popup plugin that’s a breath of fresh air. 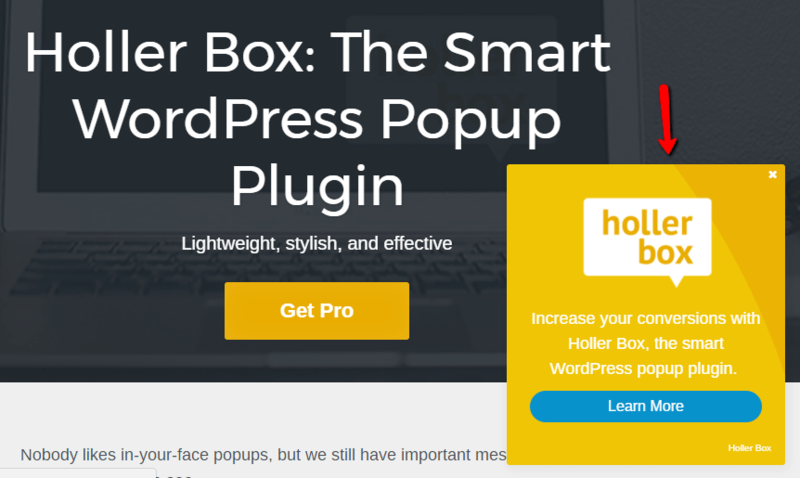 Holler Box lets you promote offers, mailing lists, and more without annoying your visitors like some more aggressive methods. It’s lightweight, easy to configure, and rings up at the attractive price of free (though there is a Pro version with added functionality). Holler Box Review: What All Does It Do? Holler Box lets you create “messages” that display in any corner of your site. I say “messages” because Holler Box is pretty flexible with regards to what that means. You can essentially embed any content that fits in the WordPress Editor. That means not only your own custom text, but also any shortcodes, images, videos, and more. 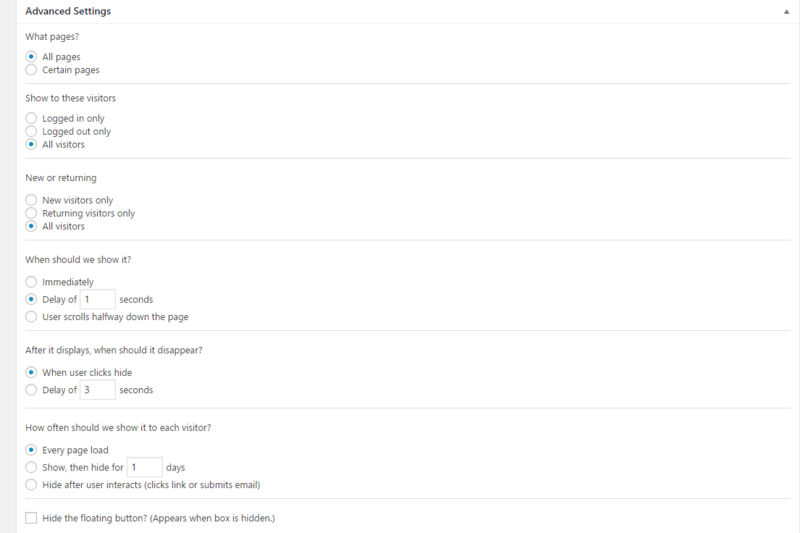 Then, you can also tack on email opt-in forms and/or faux live chat functionality. When you install Holler Box, there’s not much to configure. You can add your API keys for MailChimp or ConvertKit, but that’s the only important general configuration option. Otherwise, you’re ready to jump straight into creating a new Holler Box. You can put pretty much anything in here. Text, images, forms generated by shortcodes…everything I’ve tried has worked. The only thing you need to watch out for is sizing. Holler Box will automatically scale down images so they don’t distort the box’s sizing. But you do need to be careful with shortcodes. Make sure you’re using something that works in small spaces. First up, you can choose your box’s position, as well as change up its colors. 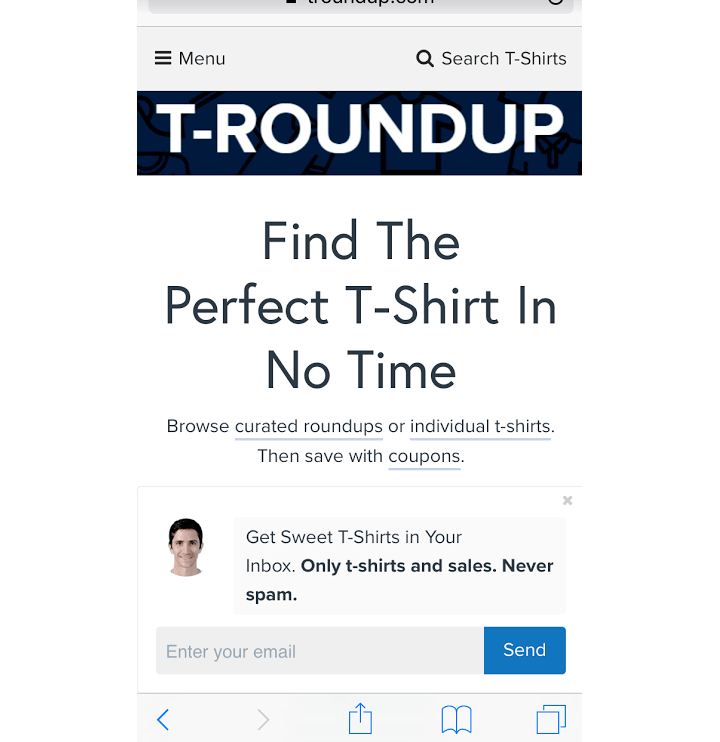 Show email opt-in – lets you show a generic opt-in, a custom HTML form code, or sync up to Convertkit or MailChimp directly. 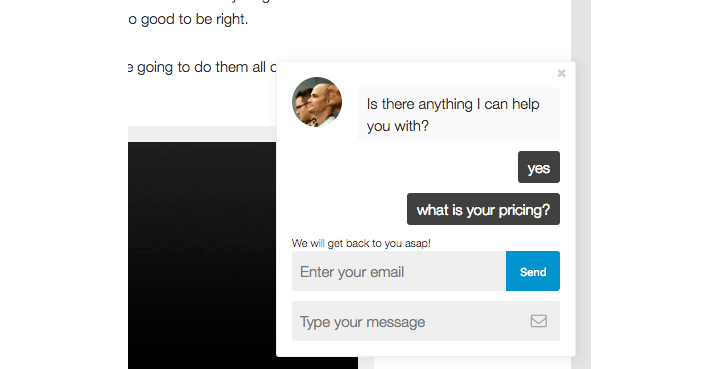 Show chat – shows a faux live chat interface that lets visitors leave a message, as well as an email for further communication. Overall, you have a great deal of flexibility over how and when your boxes display. Most of the targeting options are self-explanatory. But one setting that I think deserves special mention is the Hide the floating button? option at the bottom. But if you check this box, your Holler Box will completely disappear when a user closes the box. Given the growth of mobile traffic, it’s important that Holler Box looks just as good on mobile as it does desktop. Holler Banner – a smart header banner with all the same targeting options. Expanded Option – show longer messages with an Expand button. Great for survey forms, among other uses. 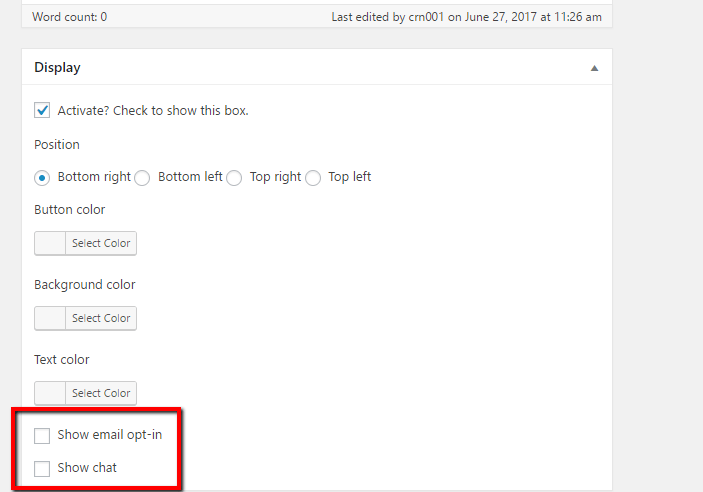 Time Limits – automatically deactivate a box on a certain date. 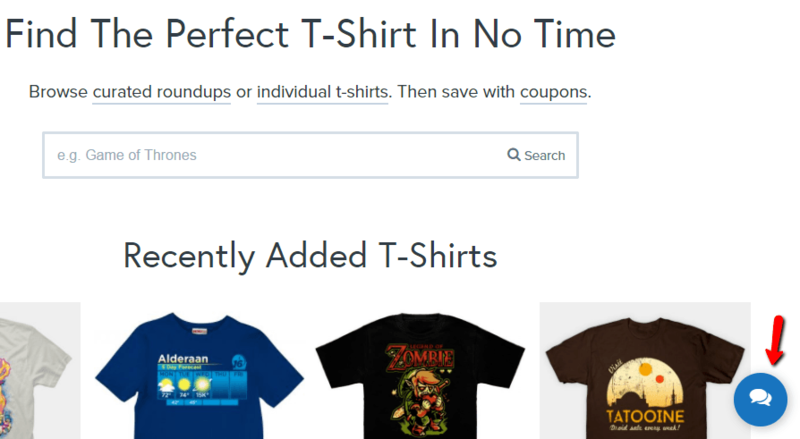 More Filters – filter by category, tag, post types, and more. 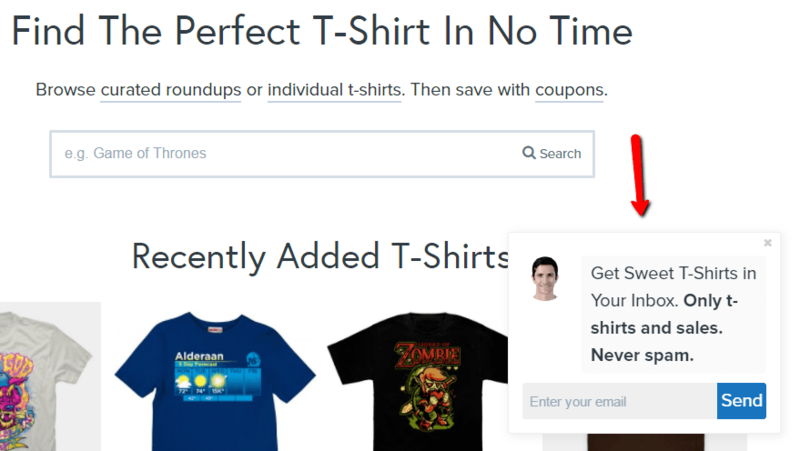 Sales Notifications – show recent sales from EDD or WooCommerce. Holler Box isn’t a mega-complicated full-service solution like Thrive Leads or Sumo. Nor is it trying to be. If you need to aggressively promote offers with scrolling welcome mats and popup lightboxes, Holler Box probably isn’t for you. But if you want a lightweight and flexible tool to push offers, showcase custom content, or grow your list without annoying your visitors, I think Holler Box is a great solution. It’s lightweight, looks great, and only takes a couple minutes to set up. Can’t go wrong with that!